Prairie flowers in a gentle breeze. 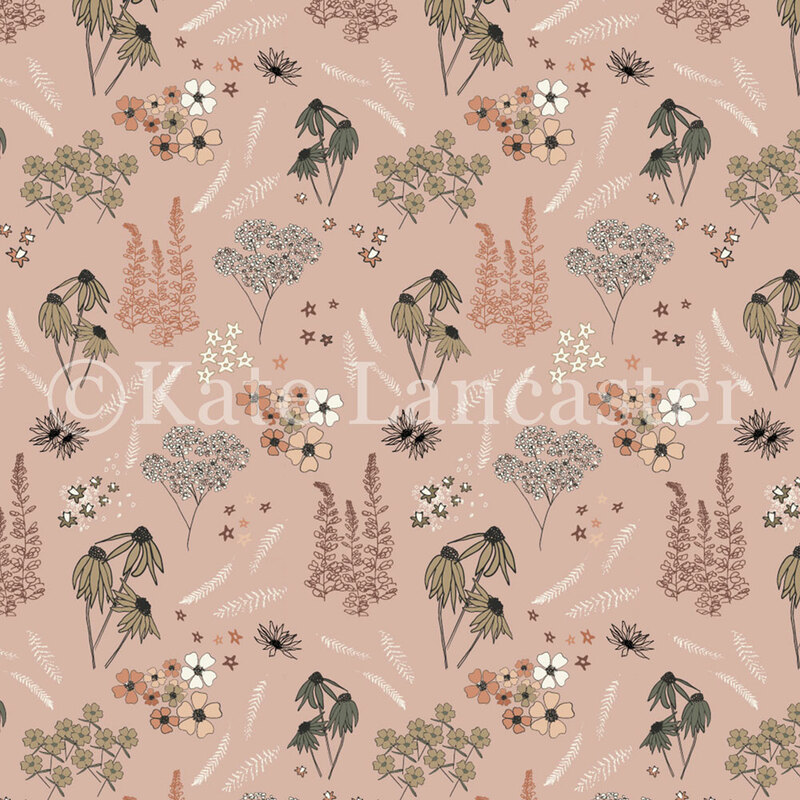 A calming colour palette of dusky pinks, peaches, olive greens and tan. Find out more about the fabrics and their uses here.